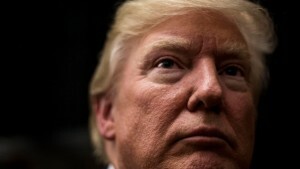 Former Republican front runner Donald Trump has been dealt a huge blow following the first vote of the U.S presidential campaign with voters citing his “traitorous Hebridean blood” as the main reason for rejecting him at the polls. “We were surprisingly fine with building the great wall of Mexico but this is not ok”. “I would be fine with this if he was from Harris”. Mr. Trump is now facing calls from an emerging “Birther” movement to prove that he was born is America. Trump has hit back, citing his blatant disregard for the Sabbath and ability to resist a steaming hot plate of Black Pudding and / or fledgling seabirds. Iowa republicans were willing to forgive Ted Cruz’s foreign name, batshit ideology and sinister intent. Iowa is a key battleground in the nomination battle and is famous both for it’s complete lack of hills and being very flat indeed.